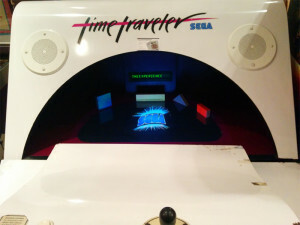 Dozens upon Dozens of Arcade and Pinball machines were set up for free play, including Sega’s Time Traveler Arcade Machine from 1991, an interactive “Holographic” FMV which runs off of a laserdisc and stereographic imagery is achieved by facing a CRT towards a giant concave mirror. The unit was open for maintenance so of course we made quick of the opportunity to inspect the insides. Not only was their games as far as the eye could see, but also Live Music! While it was placed in the Vendor area and very loud, it made it a bit hard to haggle in the Temporary Structure. One vendor closer to the setup was covering his ears during a whole set, but it is unknown if it was just on account of the noise or that band just wasn’t his particular jam. However I am glad the stage was positioned where it was because I probably wouldn’t have checked it out otherwise and quite enjoyed most of the bands. 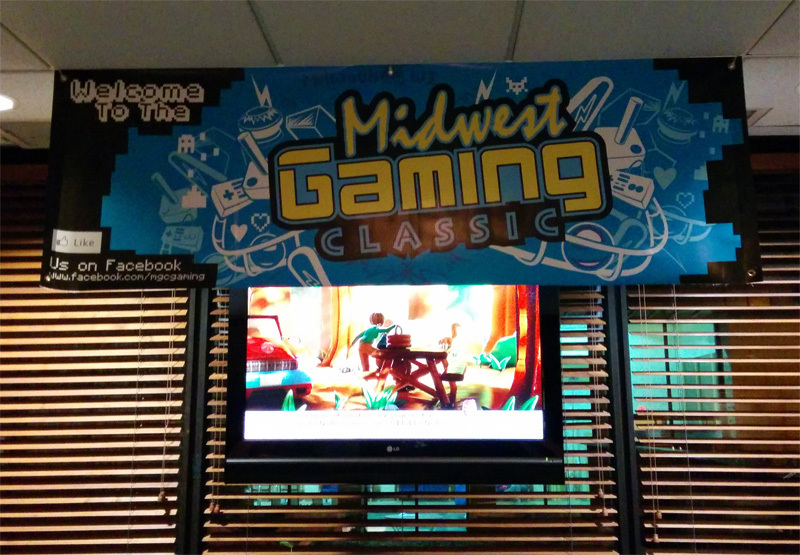 Galloping Ghost Arcade again had a mini Arcade set up down in the basement featuring many machines from early classics like Q*Bert and Toobin’ to the all new Mortal Kombat X arcade machine, complete with Spikes on the top and concealed weapons on the side! Best watch your cheesing on this machine. Also not to be missed was the unreleased Primal Rage II Arcade Machine, One of only Two cabinets known in existance. 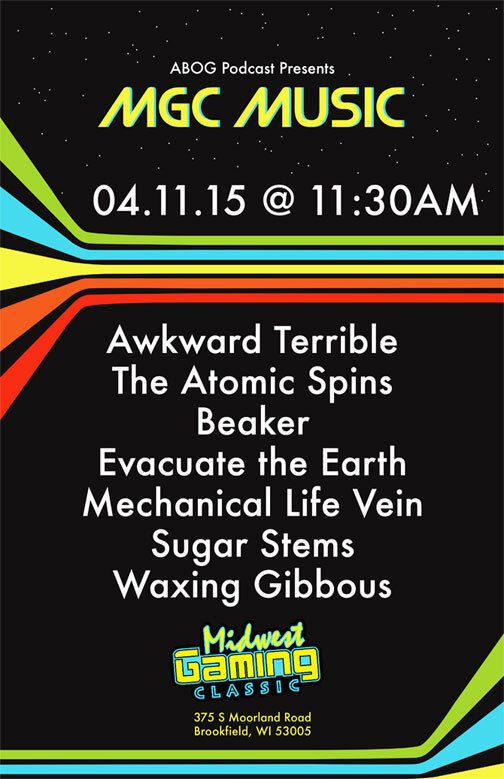 HECKWATCH 2015. 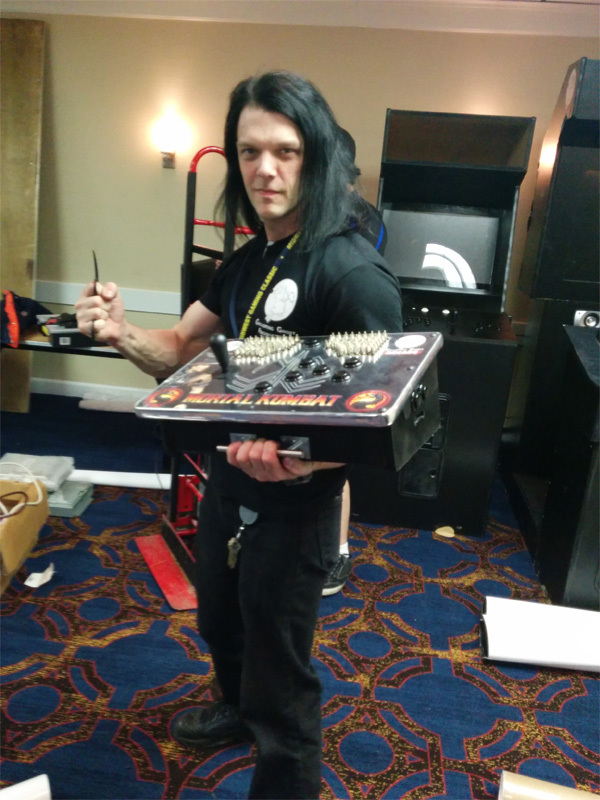 Ben Heckendorn was once again at the show with Spooky Pinball taking orders for production of his America’s Most Haunted Pinball machine, which was previously known as Ghost Squad. (we saw a “Ghost Squad” Wii lightgun game in the Museum, reason for the name change?). 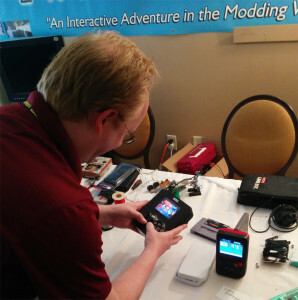 He of course stopped by our area frequently to check out our mods, Lorne’s WIP Sega CDx portable in particular, and even scored a cheap for-parts arcade board to harvest Z80 chips during the Preshow. 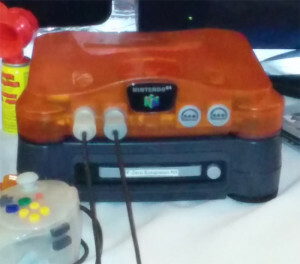 Also in our space was an N64DD courtesy of Marshall from retroactive.de, most notably known for the 64drive, who also had his N64 display setup to include the HDMI Out kit mod that he is creating, coming soon. To press that eject button on the 64DD is definitely a life changing experience. Our First “Mod” of the weekend, upgrading the label of a Battletoads cart with a cut up business card and a gluestick. 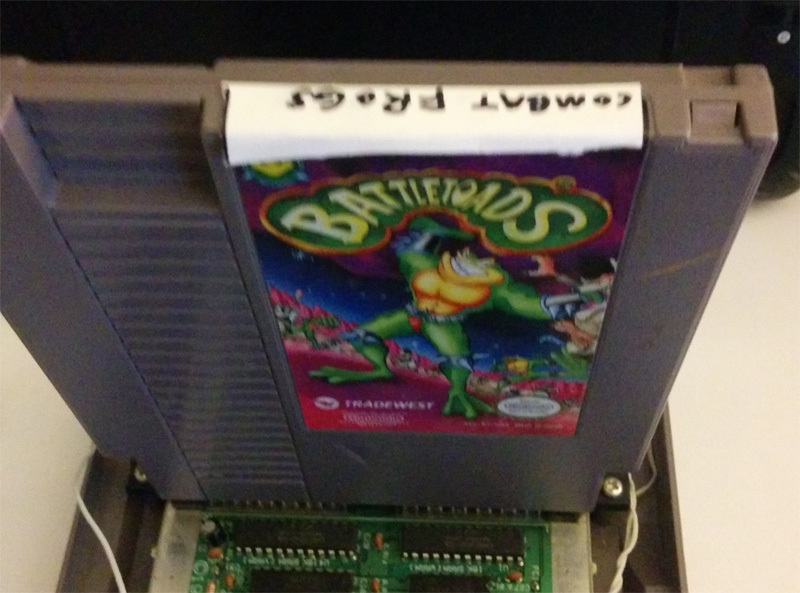 Hopefully one day I can find a cheap damaged label Battletoads to do a full on photoshop/label replacement. Combat Frogs Forever. John’s NES2 A/V Mods in full force. 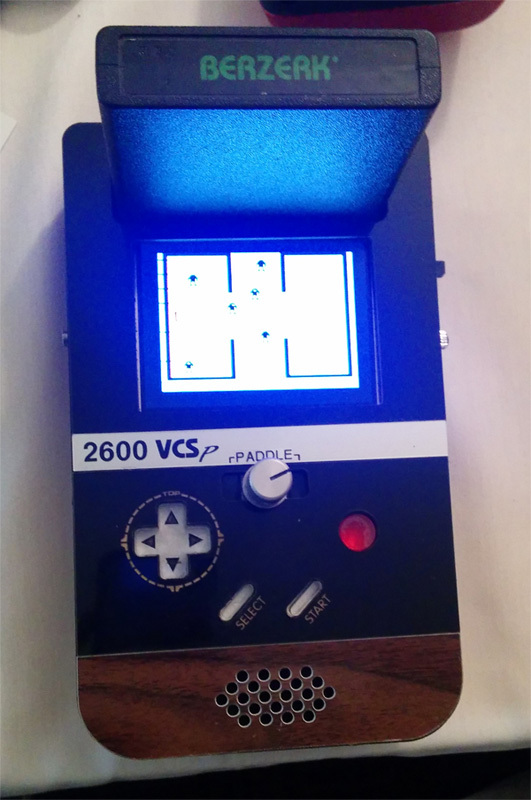 Testing out a live mod commission of the A/V mod and Power LED. Quality. Bonus ketchup packet for some reason. We also had an Amiga display because why not. 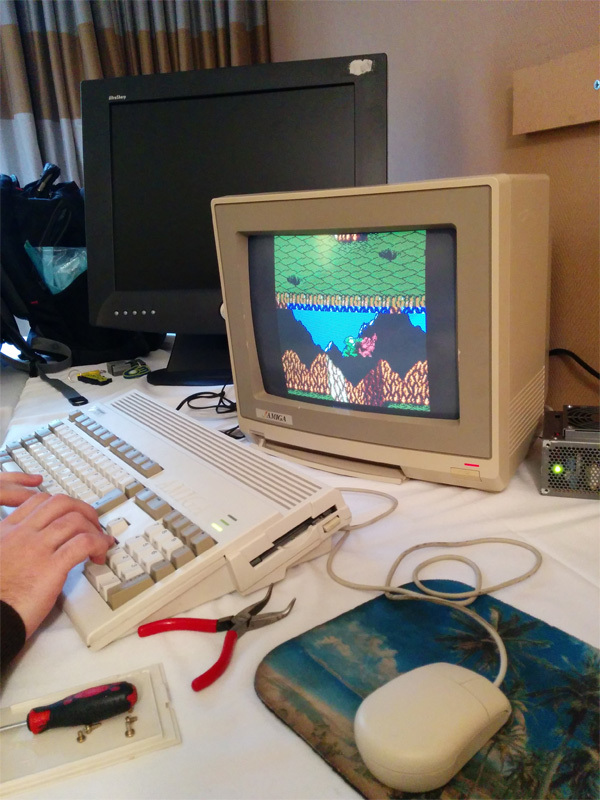 John brought his Amiga 1200 from 1992, outfitted with a laptop 8GB HDD with an install of workbench 3.5, stock 14mhz 68030, DKB Cobra 68030 accelerator and 68882 FPU each clocked at 28mhz and 128mb of on board RAM. 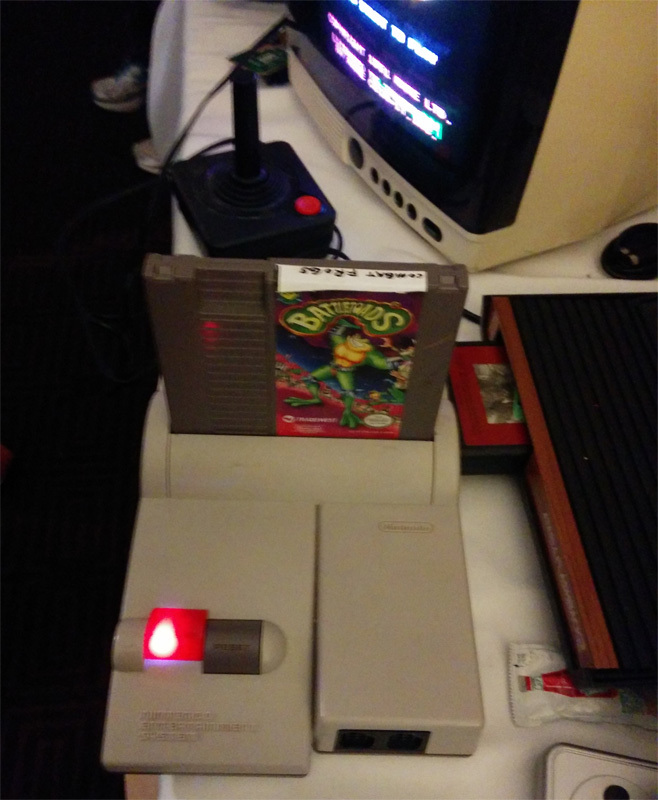 Was a blast running The Killing Game Show (Fatal Rewind for you Genesis fans), Battletoads more Combat Frogs, and Monkey Island all weekend. We found some cool hacks and mods around the show too! 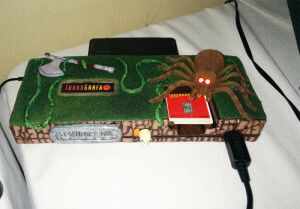 Frank Rossi brought his Atari 2600 Portable to the show, where the case was created from a kit produced for Ben Heckendorn’s “Hacking Videogame Consoles” book to be assembled, complete with potentiometer for the paddle controller and a faux woodgrain details. A good joint effort for a nice looking 2600 portable. In the Turbofest area was this awesome Legendary Axe Turbografx-16 themed console by artist/designer Tasha Wassink-Jaeger as a Christmas gift for her Husband Joshua Jaegar of HuPack. This mod features a power LED over the whole Turbografx 16 logo, a rock palette paint job and Legendary Axe logo, Skull power switch, and a giant Spider with glowing LED eyes. Spooky! As always, an incredible time at the Midwest Gaming Classic all weekend. 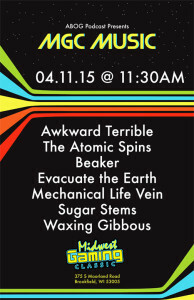 We’ll see everybody next Year for the 2016 Show!